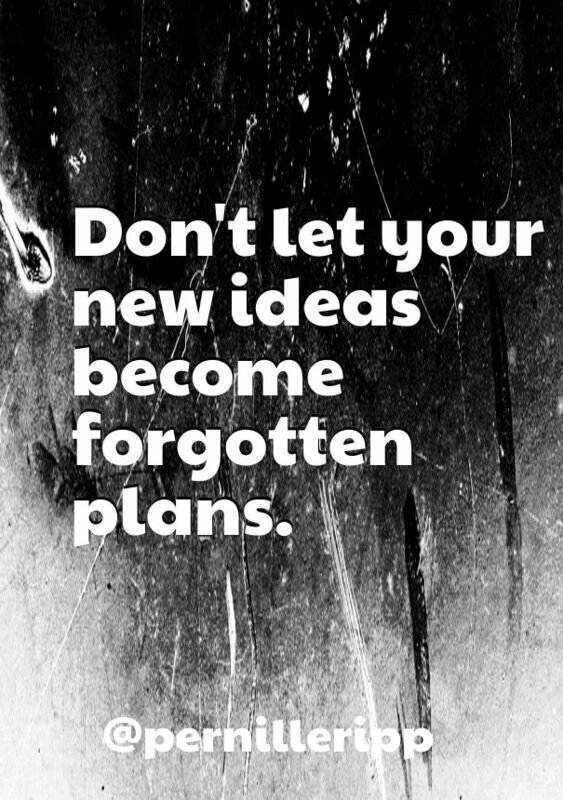 How can you continue on your conference path so that your new ideas don’t become forgotten plans? Last summer, I ran across a wonderful blog post by Pernille Ripp that outlines some steps for implementing change at the beginning of the school year. Since going to a conference, especially one so close to the holidays and the change of the semester is almost like getting a second new beginning of the school year, I thought it would be worthwhile to explore some of Pernille’s advice in the context of the post-conference information overload. However, before thinking about new ideas and how to implement them, what might be a worthwhile reflection and perhaps an even more difficult task is figuring out what you can STOP doing. It’s no secret that in education, we like to keep adding to the plates of teachers often without ever taking anything away. After being inspired by so many presentations, it’s easy to want to do this and do that and of course also this and that. Before you can think about the new ideas, think about what you can take away based on all the learning at the convention. Can you identify one or two things that you will no longer do? Once you have done that and written it down, come back and use Pernille’s great plan to think about all the new ideas and how you can implement them. Sure, you can’t rewrite your entire curriculum now and change all of your assessments tomorrow and develop a new grading outline, but what is something that you can do NOW before the calendar year ends that will help you get moving on your changes? It could be something really small, but it will get you started. It doesn’t matter if you are a list person or not, don’t leave your ideas just in your head. Using a template such as the TELL Project’s EPIC Growth Plan allows you to outline how you meet your goals. My favorite part of this process is identifying success measures. It’s one thing to identify a goal and plan for it, it’s another to know before you start what it will look like when you get there. Sure, you won’t know exactly what it looks like, but thinking about the type of evidence you’ll have at the end of any change process will help you get there much faster and the best part you’ll know when you have done it. Can’t say it any better that Pernille did: “We get stuck in the same routines because our environment doesn’t change. When we work in a space that looks like it did the year before it feels as if our brain pulls us back in the previous year’s mindset. So if you want to change things, move some furniture around, change the layout, make a physical change to inspire a curriculum change.” Just do it! Let’s be honest. Most of us don’t like to throw things out. As teachers, we don’t have much stuff and we get attached to our stuff. However, if you have stuff in your classroom that you haven’t used in four years; if you have stuff in your classroom that isn’t even yours, but still there from the previous teacher; if you have stuff that you know deep down you will never use again, this is a great time to purge. You’ll be amazed how something so small will help you focus on your new goals. I Attended a Great Conference… Now What? Wyatt Crane’s ACTFL Take Aways! Telling someone else, of course, doesn’t have to be blogging. Simply find an accountability partner in your school or in your professional circle(s). Someone that you trust will check in with you in a couple of weeks or a couple of months. Someone that cares about your and your professional growth. We have the tendency in education to go for wholesale change and after seeing others present at the convention, you might also have a feeling of I’m doing it all wrong! First of all, you don’t. Second, the presenters aren’t doing it all either. So, don’t think you need to change everything. It’s easy to get caught up and wanting to do it all and doing it all right, right away. Don’t fall into that trap, but rather identify no more than two measurable small changes that you can implement for a pre-determined amount of time. If you’ve identified your success measures above, you’ll be able to add and work on additional things once you have completed the first ones. Start small, just like our students’ language proficiency, success builds on success and you’re more likely to be successful if you limit your goals. So what are you waiting for? Take advantage of that conference boost you got at ACTFL and continue your path. I can’t wait to hear about it!